Day 274 Pinky, Binky and a Cracker! 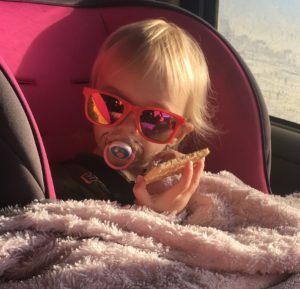 Here is how a girl travels – her Pinky, her Binky and a cracker. Can’t for get the sunglasses either. Guess who likes bacon? 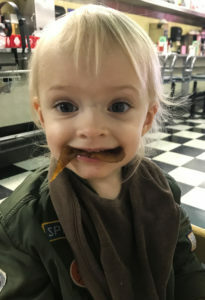 And especially with her oatmeal topped with catsup. Yes, I did say oatmeal and catsup!! Yuck!! 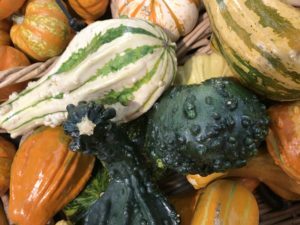 It’s the season for decorating with Gourds. The grocery store has an abundance. 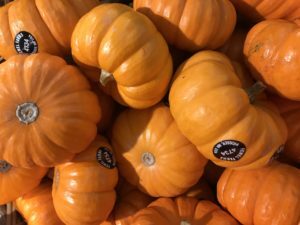 The little decorative pumpkins are out in the grocery store. 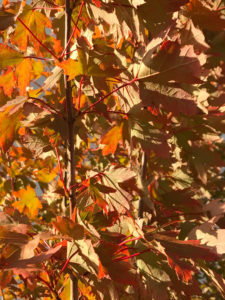 The leaves are starting to turn in Great Falls. 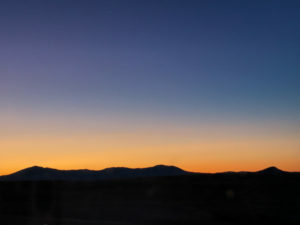 This was Sunrise this morning. This has been a fun year so far using only iPhone photos I have taken. I love my iphone7 plus! 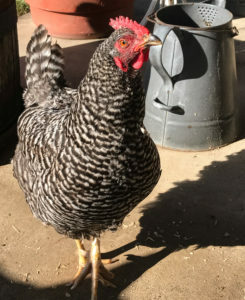 This is Ms Bok Bok who is my rehab chicken who had a broken leg. She is healing, but still does not like her photo taken. 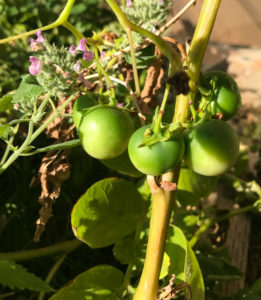 I finally took photos today of the tomato-like fruit that is growing my potato plants. 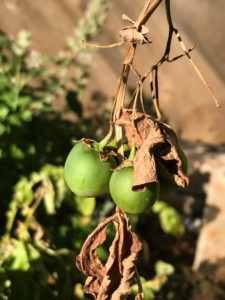 Tomato and potato are both members of the nightshade family. 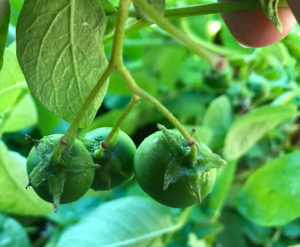 When potatos flower at the end of their growing season they may turn into tomato -like fruit. 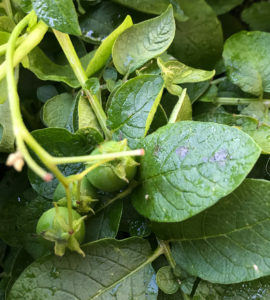 These berries are not edible the berries contain solanine which is poisonous. 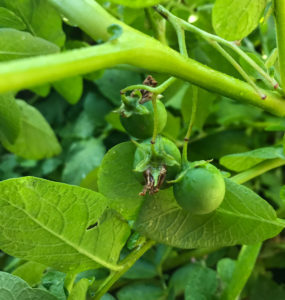 There will be seeds inside these fruit that can be planted to grow potatoes. Check out online for more information. 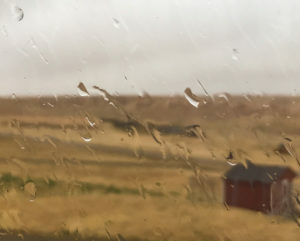 The wind blew last night so that there were Raindrops on the window. See the bales and chicken house? You are currently browsing the Window on Cherry Pie Lane weblog archives for September, 2017.